The hole drilled by gold exploration company has been spewing high-arsenic water since 2011. 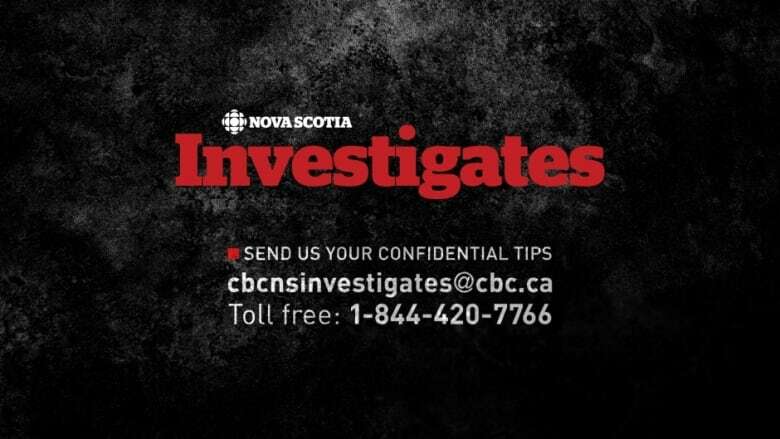 A hole drilled for a mineral exploration company seven years ago is leaking contaminated water into the environment, and although the Nova Scotia government learned of the problem last year, staff decided not to fix it. The incident raises questions about how the province regulates exploration activities. 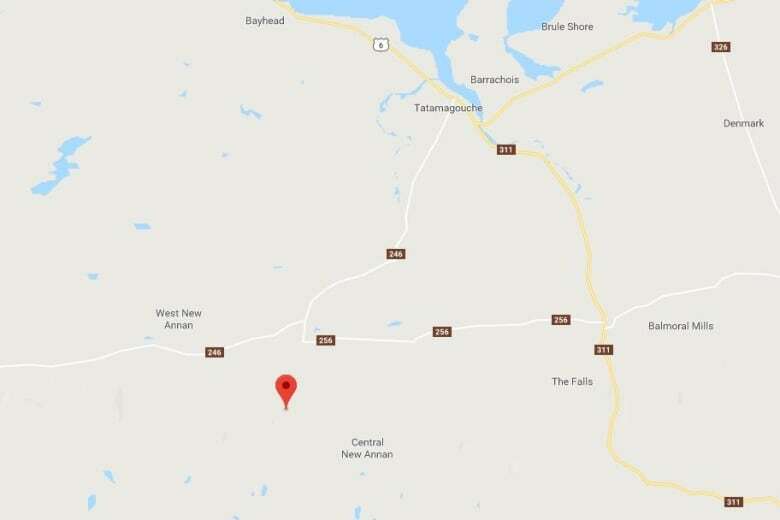 In November 2011, now-defunct Sugarloaf Resources was looking for gold on Warwick Mountain, near Tatamagouche, N.S., and contracted the job of drilling the hole to R & J Drilling. Provincial regulations require companies to seal holes from three metres deep in the bedrock all the way up to the surface, but in this case the work was done incorrectly, and water with high levels of arsenic and iron began leaking out. In May, a geologist working for the department was doing routine fieldwork near the site and discovered water "bubbling out of it like a spring," according to an email from a Department of Energy and Mines staffer obtained by CBC News through freedom-of-information laws. A later visit by staff found what "appeared to be the result of bags of cement being simply poured on the ground" in an effort to cap the hole, according to an internal report. Water tests taken next to the hole found arsenic and iron levels that were more than 10 times higher than what the federal drinking water quality guidelines allow and, in the case of the arsenic, more than 25 times the Canadian Council for the Ministers of the Environment guidelines for freshwater aquatic life. Emails show department staff discussed the problem and possible solutions over a four-month period. Two days after a site visit in August, a mining engineer for the province wrote a report outlining four options for dealing with the hole, including excavating and sealing it. The fourth option, which he dubbed the "Do Nothing Option," notes that "if the environmental and human health impacts from the discharging water are considered acceptable," the water could be left to flow indefinitely. About a week later came the response from the province's manager of mineral development and policy: "Management has decided to take Option 4 with the condition that we continue to monitor and intervene if results justify." 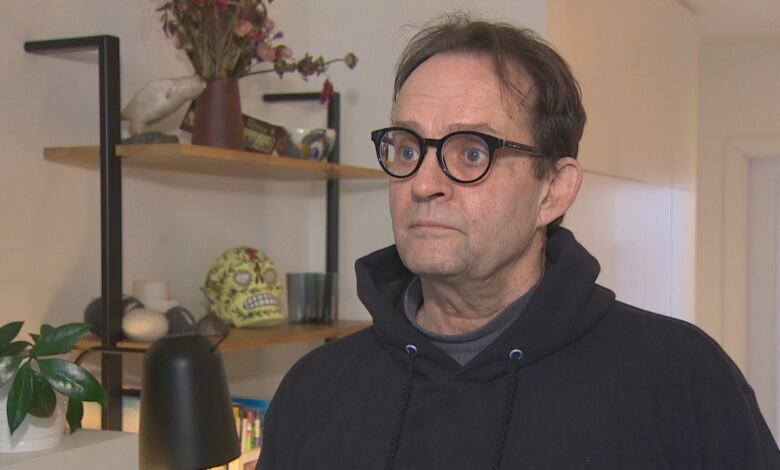 Donald James, the province's executive director of geoscience and mines, told the CBC in an interview Thursday that there is no plan to go back to the site or monitor the water. The water from the hole, which is located along an unpaved road branching off from Warwick Mountain Road, has created a small wetland. Provincial geologists followed the path of the water about 200 metres to where it crossed a road through a culvert and then petered out in the forest, where a frog was spotted. 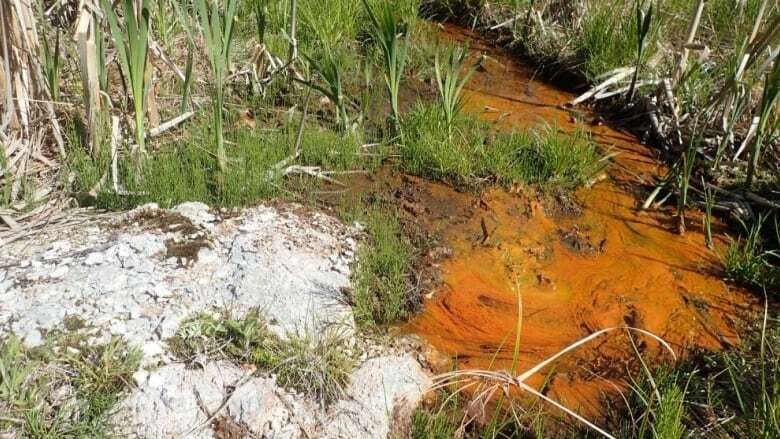 During one visit by department staff, a large, orange-coloured stain caused by high iron levels was spreading downstream. 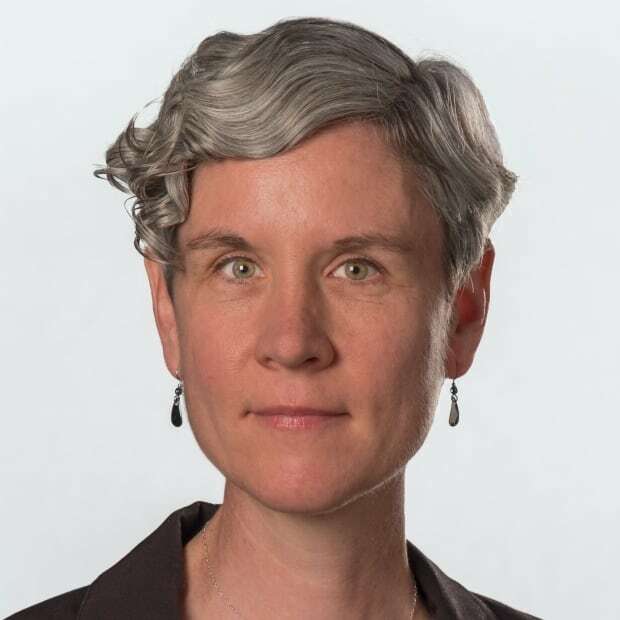 Linda Campbell, the director of the school of environment at Saint Mary's University and a professor of environmental science, said it's important to monitor the leaking hole. "We have to be very careful that this type of thing does not get into the freshwater system," said Campbell, who has studied the impacts of the mining industry on aquatic ecosystems. 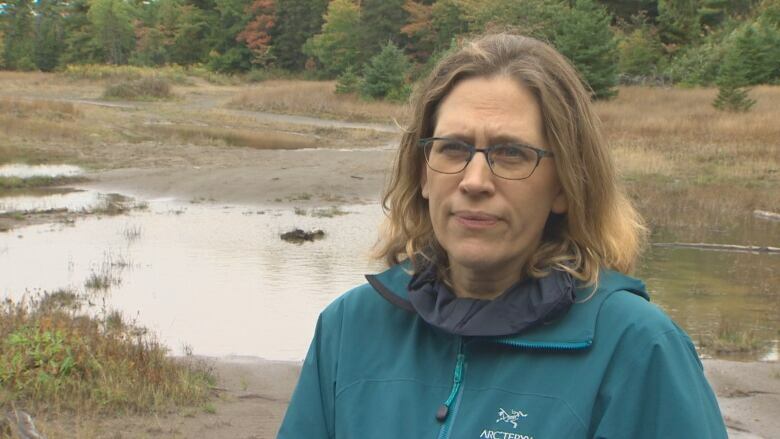 While Nova Scotia does have naturally elevated arsenic, Campbell said the levels in the water test results are high and could seriously impact aquatic life and ecosystem health, including fish, frogs and invertebrates. In an email, a department staffer questioned whether the water could contaminate local watercourses, especially after heavy rains. The hole is about 750 metres from the French River, the source for the Tatamagouche water utility. 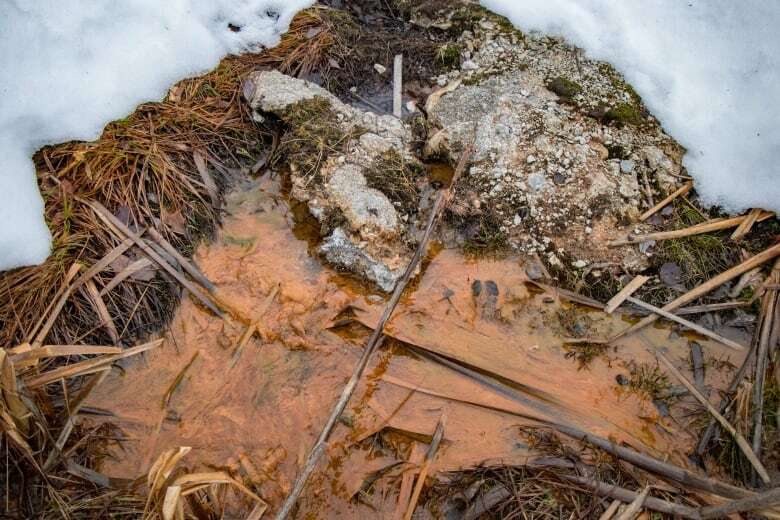 After she was alerted to the situation by CBC News last week, Michelle Newell, the director of public works for the Municipality of the County of Colchester, said tests of both treated and untreated water over the past six years have not detected high arsenic or iron levels. But those tests are only conducted once a year, as required by the Environment Department. That testing regime wouldn't necessarily detect contamination that could stem from episodic events such as heavy rain or rapid snowmelt, said Dalhousie University's Barret Kurylyk. 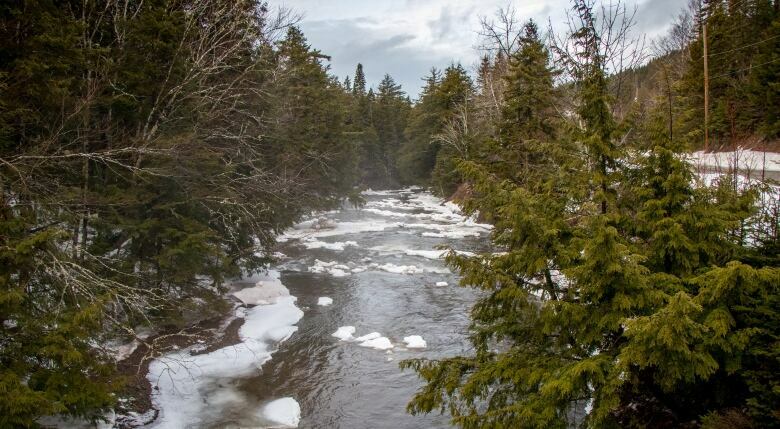 Kurylyk, an assistant professor who specializes in the interactions between ground and surface water, said it's possible the contaminated water from the hole could reach the French River either over land or through the groundwater. But he said it's also possible that if it did, it would be so diluted it wouldn't pose a safety risk. Christine Blair, the mayor of Colchester County, learned of the leaking hole only after CBC News contacted the municipality. "It was quite disappointing not to receive the information or the heads-up from the department," she said, adding that the municipality will be seeking further information about the incident from the province. Department official James said staff discussed the leaking hole with the owners of the land where it is located and offered to fix it, but the owners declined. The department does not consider the water to be a hazard to the water supply, the municipality or nearby wells, James said, as the contaminants are in solid form and settle out of the water within metres of the hole. A second water test taken in a roadside ditch near the hole found arsenic levels that still exceed the freshwater aquatic life guidelines, but are below the limit for drinking water. The iron levels were not detectable in the second test. "Our preliminary investigation showed that water that is coming out of the hole is seeping back into the ground before it enters any sort of local water source," James said. But James acknowledged it's possible water from the hole could flow over land to nearby watercourses in heavy rain. David Byers owns the land where the hole is located, and said the water has been flowing since it was drilled. He said someone from the department called to tell him about the high arsenic levels, but he was never given the test results. He said he would like to see the water retested before accepting those results. Byers said he has a dug well near the leaking hole, and it has safe levels of arsenic. He also has a spring about 150 metres from the drillhole and said the water is "so good that I thought of bottling it and selling it," he said. A former exploration geologist, Byers said he believes exploration can be practised safely and bring needed jobs to the area. "I just don't see what all the hoopla is here," he said. 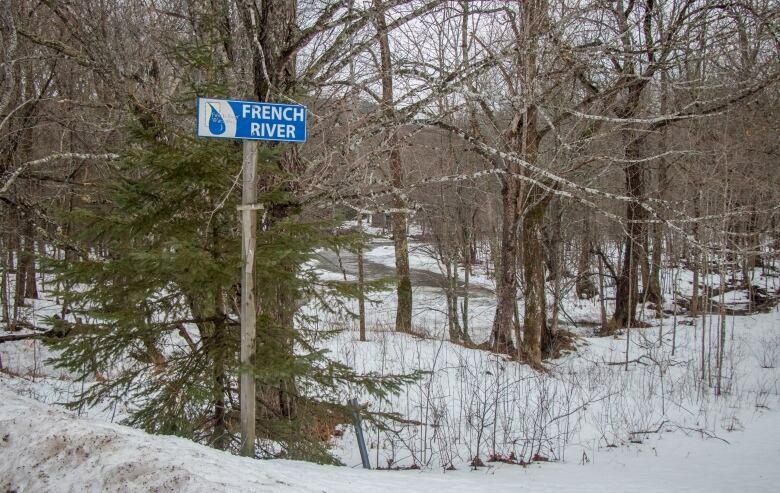 The hole and the contaminated water are within the French River watershed, which the municipality is attempting to have designated a protected area — in part because of environmental concerns about mineral exploration. Before the watershed can receive protected status, it must get the stamp of approval from both council and the province. But the province has its own interest in the area. For seven years, scientists with the former Department of Natural Resources who are now with Energy and Mines have been studying the Warwick Mountain area, which they believe could contain commercially viable quantities of gold. The department is expected to announce a call for proposals for exploration in the 30,000-hectare area in the near future, James said. 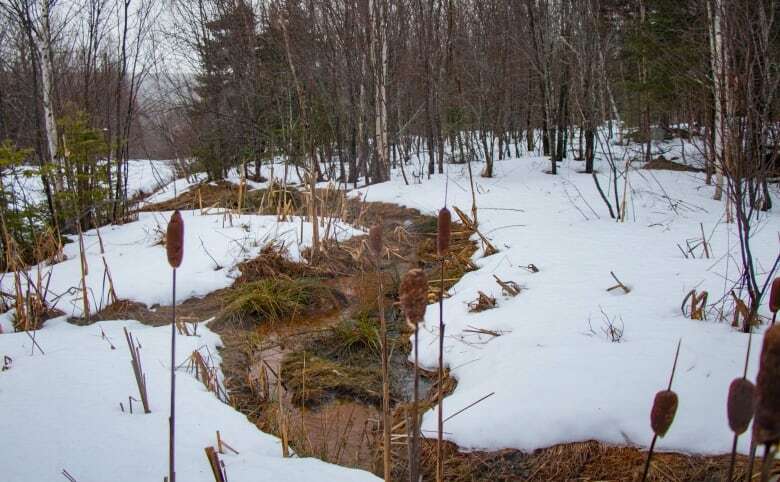 After learning of the department's Warwick Mountain Project, as it is known, a group of residents formed the environmental group Sustainable Northern Nova Scotia (SuNNS) to oppose the project and encourage sustainable economic development. Group member John Perkins said SuNNS believes it's a conflict of interest for the department to both promote and monitor the mining industry. When situations like the leaking borehole arise, "they have no choice but to hide it, play it down and keep it from us because it disrupts the message that they're trying to send," he said. Perkins said the department should have disclosed information about the leak as soon as it was discovered. He said he's worried the incident highlights a lack of regulatory oversight and enforcement, calling it the "canary in the coal mine." "This is a wake-up call for citizens in this area," he said. There were 780 exploration holes drilled in Nova Scotia last year. While the leaking hole was discovered by chance, there could be others that haven't been found yet. While the province does inspect holes drilled on Crown land, it doesn't visit all the holes on private land. The Mineral Resources Act and regulations do not define how exploration sites should be monitored, and James said the department is not considering adding any new rules about that. According to the minutes of a July meeting, department staff discussed the possibility that there are other leaking or improperly sealed holes. Staff suggested checking other holes drilled by the mineral rights holder or the drilling contractor involved with the leaking hole, but one staff member said he was unsuccessful in contacting them because they "do not exist in the Registry of Joint Stocks." "It's not possible, of course, to contact a company that's not in business anymore," James said in an interview. However, one of the directors of Sugarloaf Resources is listed on the department's own website as the recipient of a 2018-19 exploration grant for the same area of the province, and the other director received one in 2016. James said the responsibility for the hole now rests with the landowner.